This topic contains 0 replies, has 1 voice, and was last updated by Kajsa12 7 years, 5 months ago. 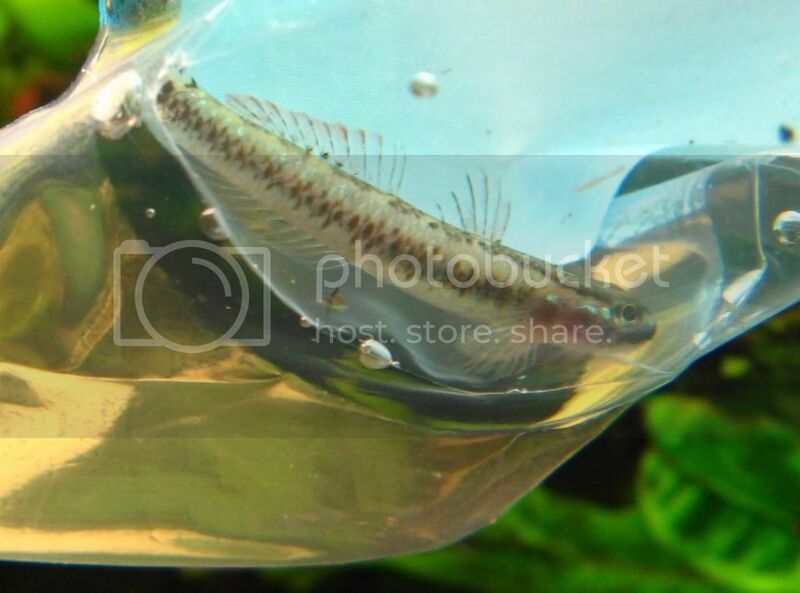 I have been importing stiphodon percnopterygionus for a few months now. Generally they come in in pairs and the females have typical coloration (or lack thereof) of the fins. With the second to last batch I got in (about 20 pairs of fish), 4 or 5 of the females have a slight orange tint to the first 2-3 dorsal rays. Their body coloration and size are identical to the typical perc females and there is no elongation of the rays. Is this an atypical presentation of percnopterygionus female or a different species altogether? Part of me would say typical females maybe a regional/location variation. The females I have show no colour in the dorsal fin at all. Does the colour in the female dorsal change intensity/brightness? I have noticed that my males can swim around with the dorsal fully flared and the intensity of the colouration changes, maybe just a male thing? Hmm, neither of those look like S. percnopterygionus to me. The male looks like the smaller form of S. sp. ‘ST02’ and the female possibly sp. ‘ST01’? In my opinion no different species. Some of the females I have show colour in the dorsal fin, too. Hmm, neither of those look like S. percnopterygionus to me. 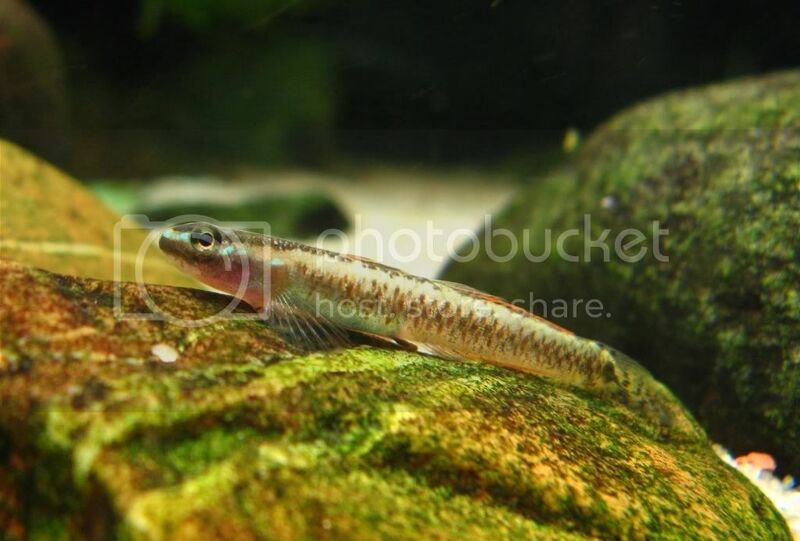 It is Stiphodon percnopterygionus. But males are still very uncoloured. Thanks Michael, never seen a newly-imported one before. yea, i know the males are percs. Eventually, they show the range of all the coloration typical. Those in the pic were the first few days and probably a little over a half an inch. The females rays and coloration do not change in intensity at all. The males, however, go to that stress coloration as soon as they see my giant black camera come out! 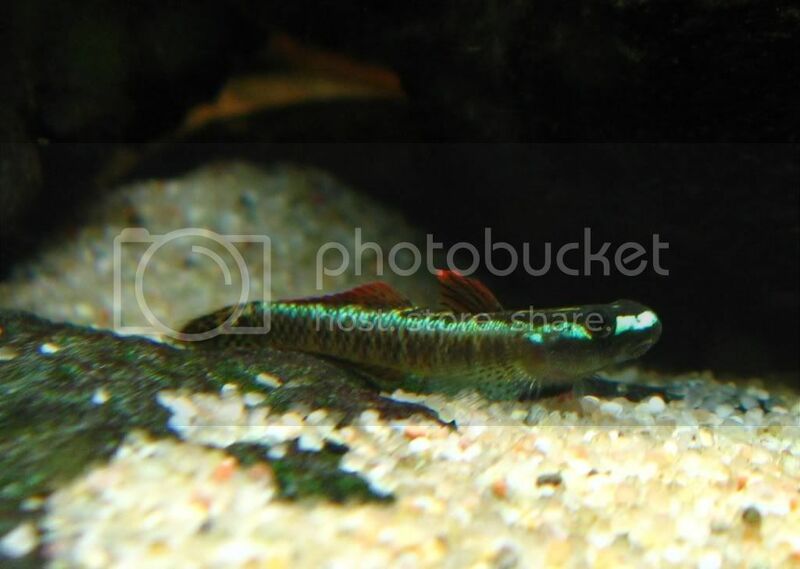 This is the last one (I have also two bigger males and two females) I bought two months ago. It has coloured up(very blue at the moment), but still has a rounded dorsal. Correction, not completely rounded. There is some development in the dorsal.